In each line of working, there are ethical ways to go about your business and then there are unethical ways. In SEO techniques, these three ways are called White Hat, Grey Hat, and Black Hat SEO techniques respectively. Black Hat SEO techniques are methods that will help your website rank higher through a group of unethical means. These are unethical because search engines condemn this method and if caught, they will de-index the website eventually hurting the business badly. If a company wants to have a sustainable marketing strategy, it should not include any Black Hat techniques or Even Grey Hat SEO techniques in it or else it would be equivalent to shooting oneself in the foot. When it comes to creating an online marketing strategy or going for a long term business then you should go with White Hat SEO techniques. I will even recommend you to go with White Hat over The Grey Hat SEO technique. Beuse The Grey Hat SEO is the combination of both Black and White Hat SEO techniques. Buying links for SEO do have a few advantages but it can get you banned from the search engines and get action taken against your web presence. A company goes ahead and pays the third party to create backlinks to the original domain. This way, the ranking of the website gets increased. Recently, an expert from Google said that the search engine can easily identify which one are the paid links and they can go ahead to ban the website from their search engine. Paid links make it easier for companies as they do not have to worry about the quality of content posted. It is better to create original and high-quality content to attract viewers rather than collecting them with money. An alternative to this technique is that you can start accepting guest-posts and that will help increase traffic to your website and build relations with other blog owners. Even if you do not know the full form of SEO, you must have seen spam comments somewhere on the internet. These are the annoying, non-related, out of the blue, and a total spamming way to put a link on another website. If you read blogs or watch videos online, you must have seen comments with a link put in, that are not-in-sync with anything related to the page at all. It gets the company no gain in their online strategy as the links in comments are ‘NoFollow’ already. Still, it is one of the most popular techniques of SEO black hats that are still used all across industries. It only helps the reader know that a company like yours exists but in no way helps the ranking. Although, Blog commenting is considered good for SEO over doing the Commenting and reaching out to all blogosphere can be very dangerous. I have also posted a post about how to make good comments and get your comments approved. The content on your website should be original. It is okay if some of the content is not original unless it is meant to increase the ranking of your website and dupe the search engines. You can check your website on plenty of tools to adjudge if you have duplicate content available on your website. If the search engine finds out that you have duplicate content made to dupe the search engine, it will penalize you in form of de-indexing your website. If you are using duplicate content, you must show it to search engines that you are not doing it to trick them at all. Another risky move; my advice, write original content if you do not want any troubles with the search engines. You can check the plagiarism of content with the help of the plagiarism checker tool. A nastier form of duplicate content, article spinning is used to change the words of an article and publish it again. The same article is rewritten with the help of software; it changes the word but makes the article really hard to comprehend as it is changed with the help of a tool. The reason to do this as it is really hard to put the same links in different articles. You can go ahead and create a thousand version of the same article and send it forward. It makes search engines determine that the websites are really popular and it pushes the ranking up. Now, search engines like Google have gone deep to differentiate between a spun article and an original one. If the search engine identifies that you are using this method, it will de-index you and make presence weaken all over the internet. It is not a sustainable strategy and even if you get organic traffic, going through content that makes no-sense will turn them away. Just like the Trustedtutors update the original content of reviews to reveal the truth of writing service. This is one of the oldest black hat SEO techniques used to promote a website and improve its rankings. Black hat experts put some keywords on the same color of the background or get text with’0’ font and publish it. They also put links in between texts to make it seem innocuous. This also results in keyword stuffing and if caught by search engines, it will only end up harming ranking of the company. Using techniques like this can also cause search engines to identify the link as spam and therefore de-index it. Search engines like Google have come a far way to recognize techniques like this. Using this technique would be a really risky move you could make. Sit in any meeting of SEO experts and you will hear the term ‘keyword’ more times than any other terminology. It is because keywords are essential to the art of SEO. Different search engines allow for different percentages a keyword can be used. You need to make your keyword relevant to the website and for user searches. Black hat experts use this technique to fill the website with more keywords than necessary making the content seem unintelligible. They also fill in keywords with the same color and background so to make the site appear in different searches. It is not an ethical way to go about it; Search engines like Google have now come up with different algorithms that allow them to easily find out if a website is using a high keyword density to make their site appear in user searches and rank higher. If you want the website to appear on user searches; do not go for this method as it will only harm your website if found out by search engines. Instead, Use keyword synonyms to overcome the problem of Keyword stuffing. It refers to a technique where other content than what is on the website is shown in user searches. This is a serious black hat method taken up to fool the search engine spider and browser to read some other content than what is actually present on the website. 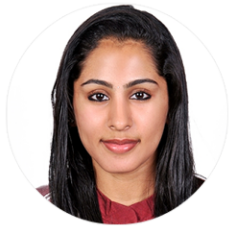 Basically, it is against most search engine guidelines because it dupes the user into landing on a page that is not relevant to their searches. It is mostly done to make a website rank higher. It is a risky method because if the search engine finds out that you went this way, they will de-index your website harming it exponentially. Simply put, never go for any SEO method that sounds too good to be true. Ranking your website higher on search engines is a careful task that requires patience along with a sound strategy. Going for any method mentioned above will only end up harming your website and eventually getting de-indexed from search engines. It is a long way back from there and you should not risk it. If you are hiring SEO experts for your website, do not fall for any method that might sound convincing but is against the search engine guidelines. As search engines keep on getting smarter in their algorithms, so should you. In this day and age, you cannot build a business online through unethical means much less advertise it. You will have to follow what is termed as white Hat techniques that will help you build a business organically and with a strong foundation. 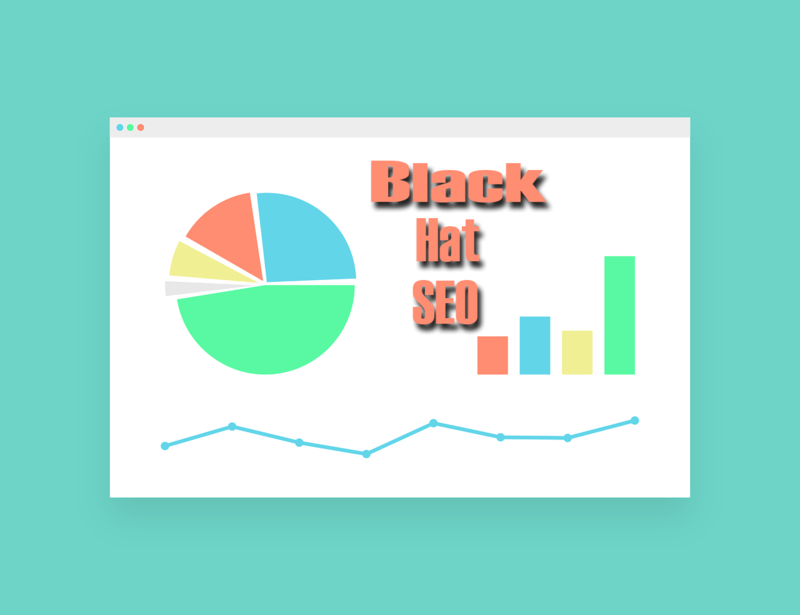 Using any of the black hat SEO techniques means that you are not looking to have a lasting business and so are using petty techniques to get higher rankings for a short period of time. As technology advances, search engines will keep on coming up with complex algorithms to differentiate between the right and wrong. Going for black hat techniques would be a dark path to tread on. Nice Techniques showing in this Article . You have shared a very informative post. It is nice to know about these techniques and avoid using them. Thank you, Sajid, to appreciate my Article. I can’t believe I bought an article spinner back in 2010. It took longer to spin the articles than it did to actually write new ones. Thanks for the article anyway – there are some great tips there. Thanks for sharing it’s very useful and updated post.